Zinc Nacional maintains a permanent commitment to the ecology, the environment and to sustainable development. This motivates us to constantly create, innovate, and implement clean processes and technologies. Our principles and values of innovation lead to frequent reviews of production systems, resource consumption and distribution to adapt to sustainability. Our strategic plan is based on the forecast of the entire cycle of the company – not only from the extractive to productive phase and consumption, but also through the final disposal of the product and its return to another lifecycle of benefit to society. Zinc Nacional is a world class, socially responsible company. Our standards, principles and values are based on human dignity, the common well, solidarity and subsidiary, social participation, life quality, human development, transparency, scientific and ethical development and certainly, environmental care. We have a full-time department of environmental professionals, this in addition to hiring service specialists to audit and monitor our facilities for compliance to all standards and regulations set by the law. Proudly, we have received the Clean Industry Certificate granted by SEMARNAT (Ministry of Environment and Natural Resources) through PROFEPA (Federal Agency for Environmental Protection). This certificate is renewed every two years through environmental audits to ensure that our facilities and productive practices are in harmony with the environment. Unique Environmental License.Granted by the Ministry of Environment and Natural Resources in September 1994 and updated in October 2012. 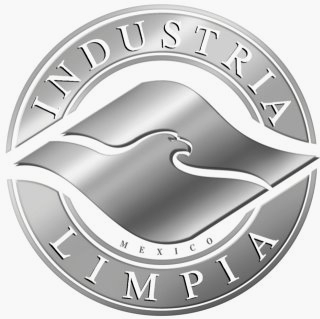 Sanitary License.Obtained from the Ministry of Health in October 2009, both for the manufacturing of salts and basic inorganic products derived from zinc. Operating License.Issued by the Ministry of Social Development (SEDESOL) in December 1994.